The MSI PS42’s look is so bad, it might derail you. This laptop looks like it was made five years ago and probably by Acer or Toshiba. When I pulled it out of the box, I immediately made quite a few unpleasant noises about its appearance. Then I used it for a week, and while I still find the MSI PS42 to be one of the ugliest laptops produced in a while, I can’t deny the charm of its performance or price. 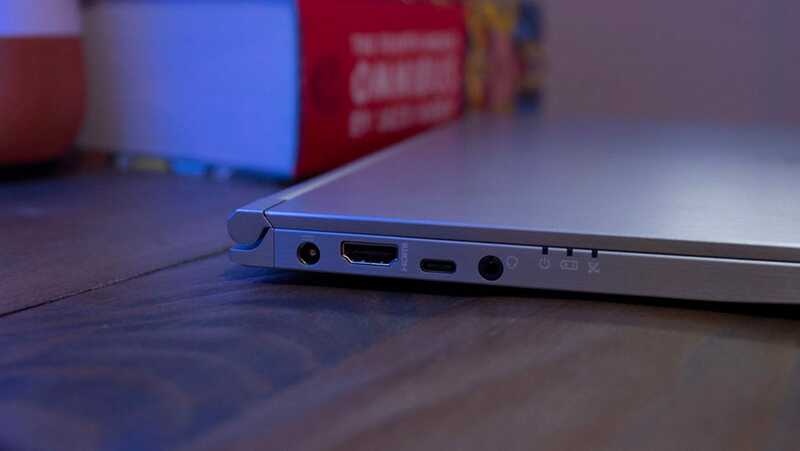 A major gaming laptop maker's first ultraportable. It's got fantastic battery life and solid performance. MSI isn’t known for budget-friendly devices, and it isn’t known for especially portable devices. MSI is known for making really fast gaming laptops with great keyboards and nice displays. The MSI PS42... sort of has those things. It starts at £995, so it’s decidedly cheaper than MSI’s other offerings. Which means a corner or two had to be cut. In the case of the MSI PS42, the display can be a little dim, maxing out at just 303 nits. It’s still a very pretty 14-inch 1080p display, with rich colours and a neat tool that lets you change colour settings on the fly. That means brighter and richer colours when you’re out in the sun or playing a video game, and softer more accurate colours when you’re watching a movie or doing some design work that requires accuracy. The keyboard is also a mixed bag. It’s backlit and lovely to type on, but the layout, which includes a group of additional buttons on the right-hand side, has led to a few miss-types. Also, MSI has elected to put common secondary functions for keys, like adjusting volume and screen or key brightness, on these extra keys and the arrow keys instead of on the function key row. 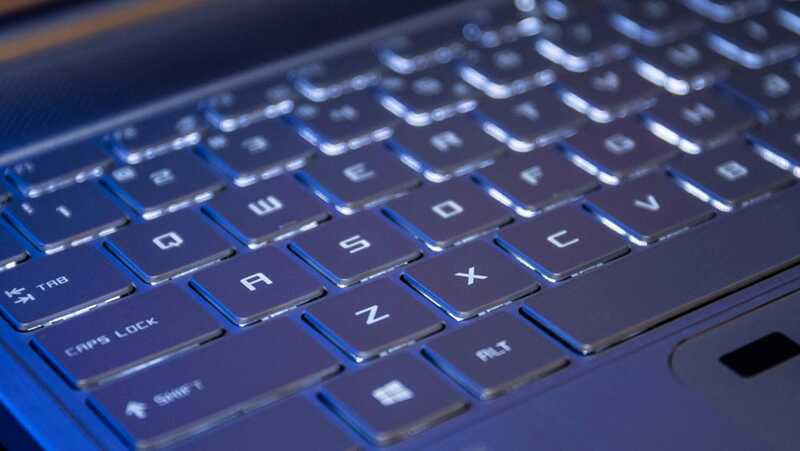 Combined with the fact that MSI included just one function (FN) key to interact with these secondary functions and you’re stuck with a learning curve if you’re coming from a brand like Apple or Lenovo. To be fair, that’s a minor complaint. Some people might even be okay with the ugly finish dogging the PS42. As with other MSI laptops, it’s a thumbprint-hungry brushed aluminium finish, but this time in a bright silver instead of a moody black. 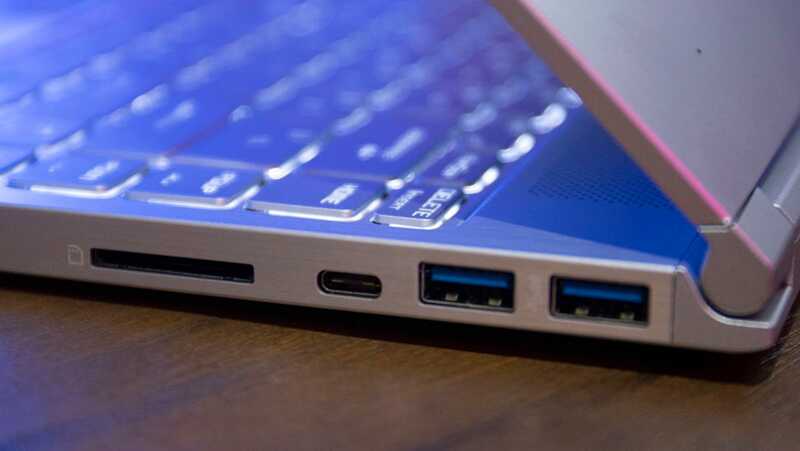 It’s the exact same kind of finish I associate with cheap Acer and Toshiba laptops from four or five years ago. It’s a finish that screams budget in all the wrong ways. The clashing black plastic bezel around the display just adds to that feeling that you’re looking at a (relatively!) cheap laptop. Then I stopped to remember that MSI is smaller than other laptop makers in the sub-£1,000 market. A company like Lenovo can make a stunning laptop for £900 because it’s really big and producing a lot of different laptops. It can make deals with suppliers and manufacturers that MSI, being much smaller, simply cannot. 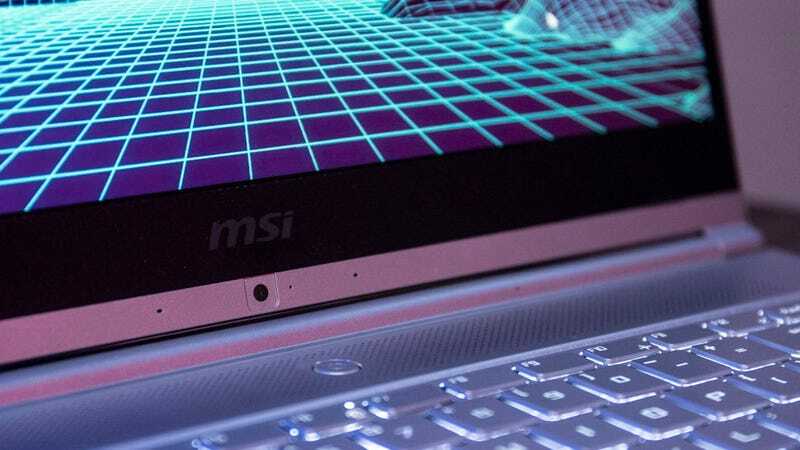 But because MSI started as a gaming laptop maker — not a business laptop maker — it also seems to have some expertise its competitors lack. It knows discrete graphics. Which means the PS42 is the rare super light laptop with a discrete GPU. Currently, that’s the Nvidia MX150, but a 1050 model will be available by the end of September, according to MSI. Generally, a laptop with discrete graphics that weighs under 2.9 pounds is going to be expensive. This is MSI’s lightest laptop ever, just 2.62 pounds. Lenovo’s Yoga 720, another budget ultraportable laptop, weighs 2.9 pounds. It’s also a 13-inch laptop while the MSI PS42 is a 14-inch. The better comparison might be the 13.9-inch Huawei Matebook Pro X, which also has a discrete graphics card. Until the PS42, the £1,200, 2.9-pound Matebook Pro X was the cheapest and lightest laptop you could find with discrete graphics. It’s also got a much nicer finish and a much bigger display than the PS42. 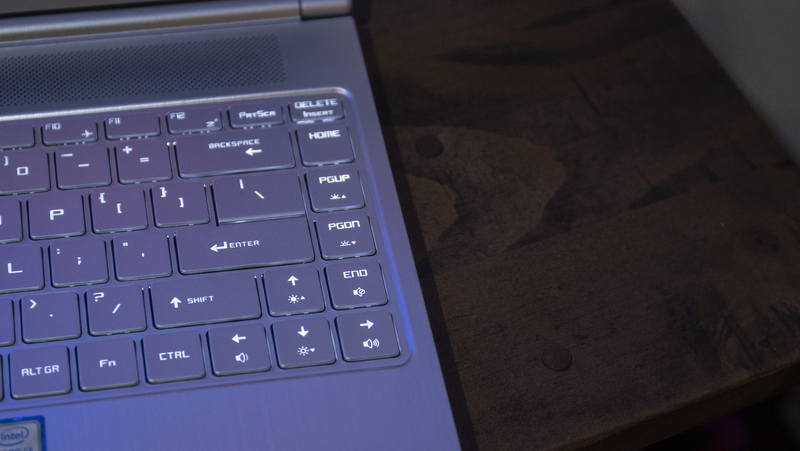 The Matebook Pro X even has better performance on a lot of day-to-day tasks. 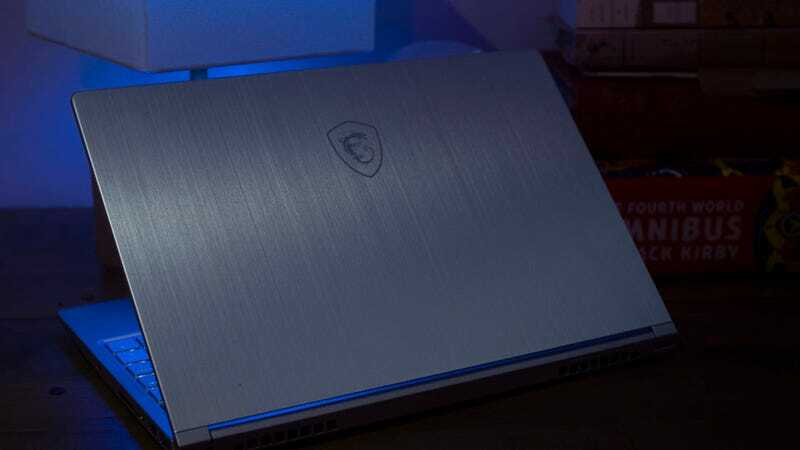 While both machines use a Nvidia MX150, with an Intel i7-8550U, 16GB of RAM and a 512GB SSD, the Matebook Pro X creamed the MSI PS42 on a number of benchmarks. In Geekbench 4, a benchmark designed to approximate performance through a series of synthetic tests, the Matebook Pro X had an excellent multicore score of 14,430 while the MSI PS42 had a score of 11,073. 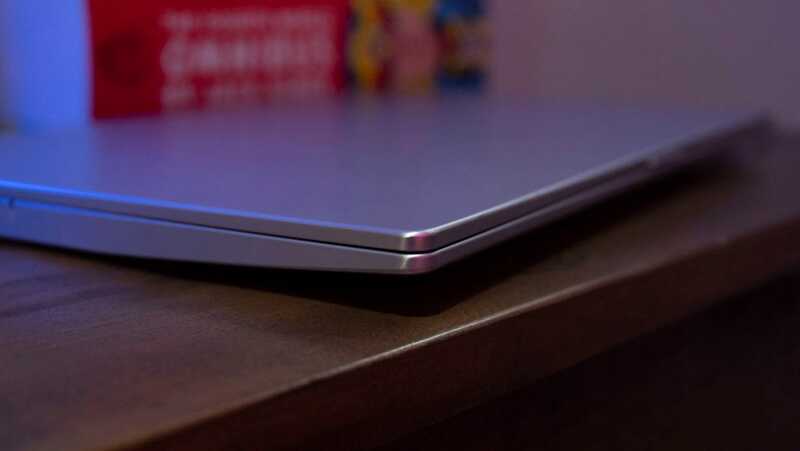 And in WebPRXT 2015, a browser-based benchmark that tests how well a computer performs tasks like resizing images and working in spreadsheets, the Matebook Pro X had a score of 630. The PS42 managed a very middling 451. The worst was Photoshop, though. MSI will hopefully reconsider its storage choice because, in our Photoshop test where we resize and convert a series of RAW images to JPEG, the Matebook Pro X accomplished the task in 45.83 seconds while it took the PS42 16 seconds longer (61.89 seconds). It’s rare for a laptop to take longer than a minute to accomplish the task, and when it does take longer, it’s almost always because of the storage the company elected to use. Despite these disappointments, the MSI PS42 actually does some tasks really well. At 11 hours and 10 minutes in our battery test, it actually lasted 3 minutes longer than the Matebook Pro X’s already impressive 11 hours and 7 minutes. It also did much, much better than the Huawei laptop in our game benchmarks. In Civilization VI, it had an average frame time of 43.75 millisecond. At 79.7ms, the Matebook Pro X had nearly double that frame time. Same with Overwatch, where the Matebook Pro X’s average frames per second was 21, while the PS42 managed 49fps. That’s still not on par with an Nvidia 1050, but that kind of GPU performance is significantly better than what Intel’s integrated graphics provide, and it’s better than what the competition is doing with the same GPU. 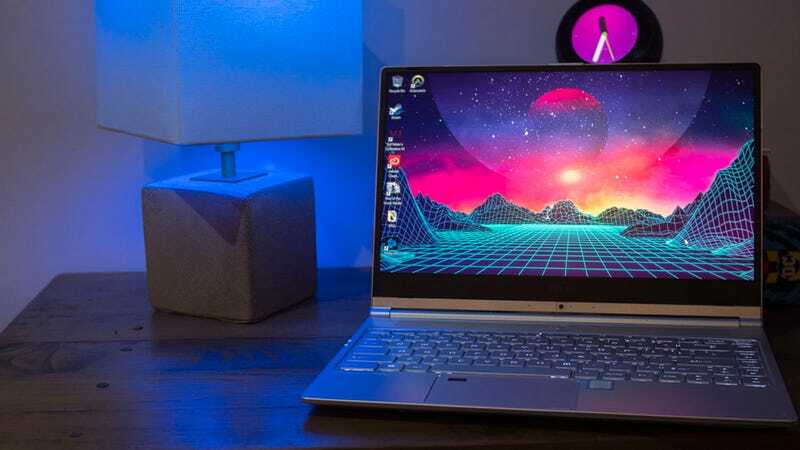 When you couple that excellent battery life and GPU performance with a price tag of around £1,000 (as tested), you’re looking at one of the best bargains in laptops right now. It lacks the luxury and some of the speed of the slightly more expensive Huawei Matebook Pro, and it’s not as nice looking as the slower Lenovo Yoga 700 series, but that’s okay. Life is about compromises, and the compromises of the MSI PS42 aren’t that bad. Sure it could be prettier, but you’ll be hard-pressed to find another laptop this affordable or fast at this price. It’s super fast in games, only moderately fast in day-to-day tasks. The storage could be much faster. But boy is it ugly.